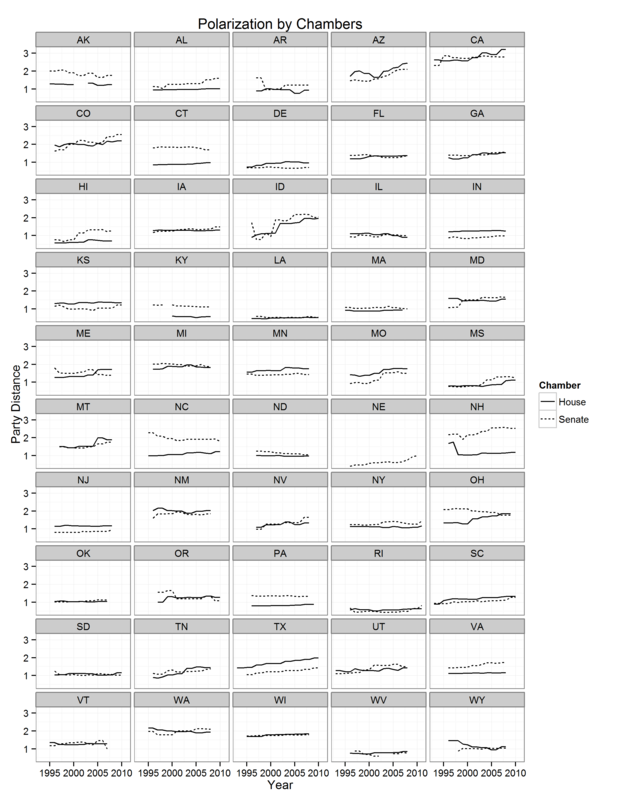 I have a new post about polarization trends in state legislative chambers across the country in the sister blog. Go there for the full details. Here’s a little peek at the key plot. Most state legislative chambers are polarizing, but a number are stable and a few are even going the other way.